When completed, the NorthWest Hospital for Specialist Surgery will house a specialist surgery hospital, day surgery centre and medical consulting suites. 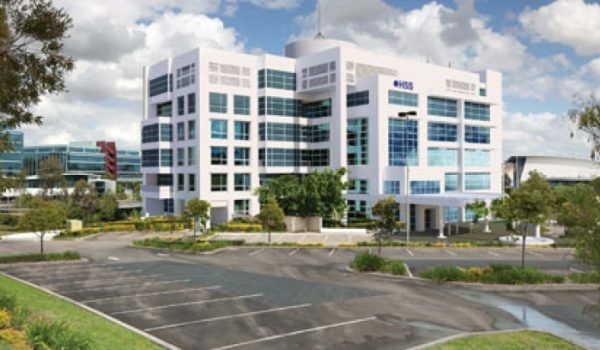 This project demands major modifications to an existing commercial office building in Sydney’s North West. All services in the building are being upgraded. A new electrical substation will be installed, as well as a back-up generator and four new lifts. No tower crane was available for this project, so we needed to find another way to get the waste out of the work area and into Grasshopper’s skips. Our solution came in two stages. To get waste out of the building, we provided 660ltr wheel-able bins that travel up and down the lifts. However, manually lifting each bin would be an WHS risk, so we provided an electric lifter that emptied each bin into the skip. This not only cut down on the risk of injury, it saved Cockram money, as they didn’t need to hire a forklift. "Grasshopper back their service by delivering on what they promise. There’s never any grey area between what we asked for and what they delivered."